Linux is the flavor for programmers and wannabe hackers today as it is slowly and steadily being adopted for standalone PCs in addition to networked PCs. One of the basic reasons it is so popular among coders and hackers is its rugged command line structure, unlike Windows and Mac based PCs. 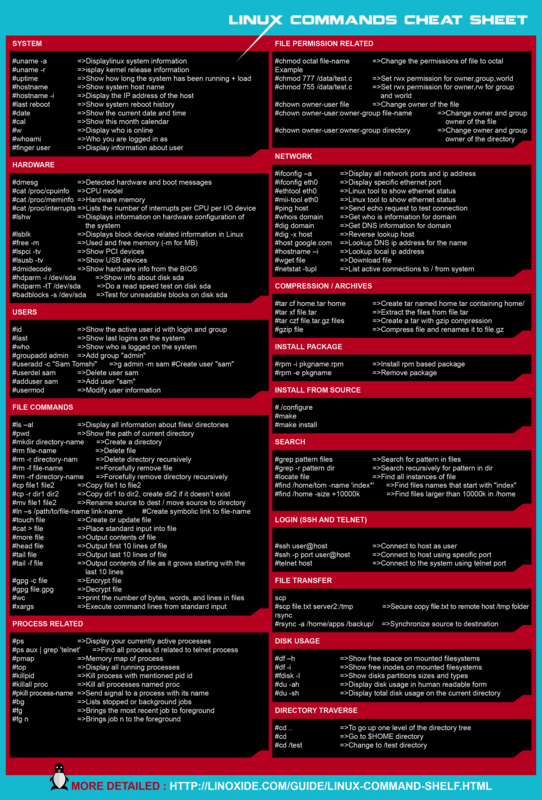 Linux was designed around a strong and highly integrated command line interface. Windows and Mac don’t have that. This grants hackers and coder far greater access and control over their system and awesome customization. This is the reason that most hacking and pen testing tools are built into Linux have greater functionality above and beyond their windows counterparts. In contrast, Windows was built around the graphic user interface (GUI). This restrict user interaction to point-and-click navigation (slower) and application/system menu options for configuration. One of the chief requirements to master Linux is to master its command line structure. Master the command line and you’ll be able to perform powerful tasks with just a few keystrokes. 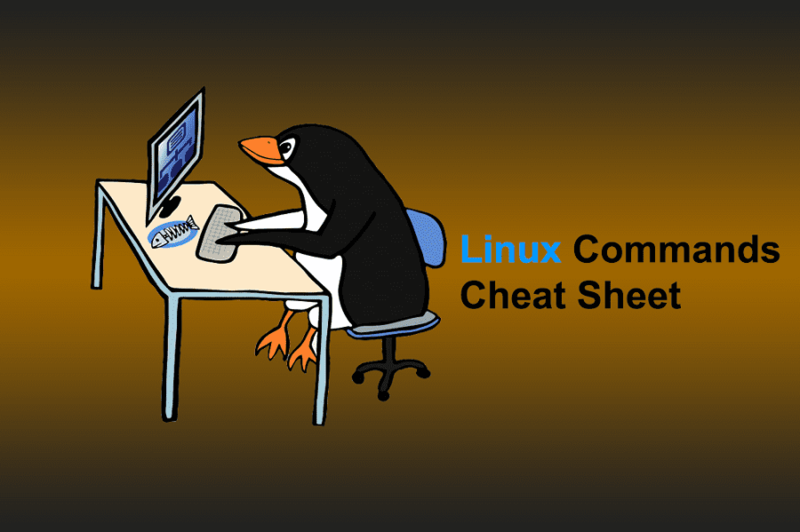 The below cheat sheet will help you remember helpful Linux commands, whether you’re new to Linux or could just use a refresher. How to Recover Data from USB Flash Drive For Free? Where is the download for the teaser image?